Changing Hands Phoenix joins the Phoenix Film Collective to share movie-going experiences with other film buffs. 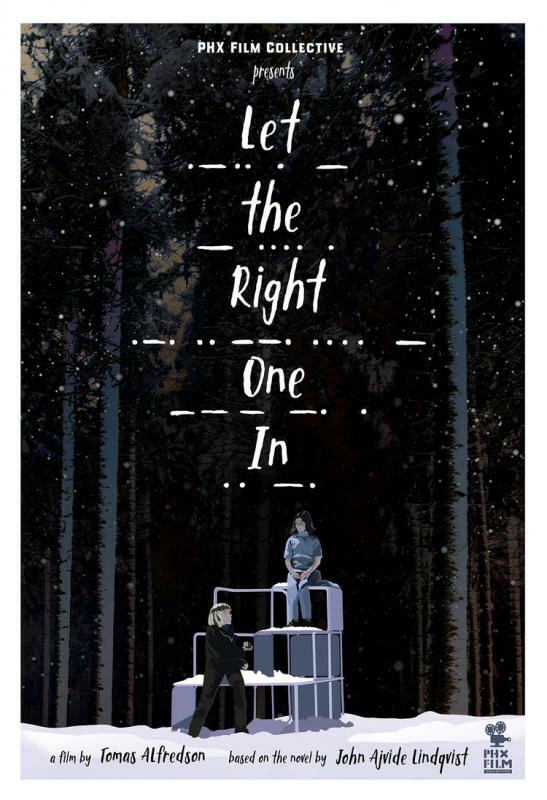 This is a special event in partnership with Stray Cat Theatre, which is staging Let the Right One In starting April 12. We'll screen the film and host a Q&A with the play's two young lead actors. Remember that awesome teenage vampire romance all the cool girls went crazy for in the aughts? No, not Twilight, the other one. We're talking, of course, about the great 2008 Swedish film Let the Right One In. TICKET (admits one) is $8. The point is this: Whatever your most profound movie moments, they probably weren't experienced sitting alone on your couch. Because watching movies with other people who love movies is just better. That's why we started the PHOENIX FILM COLLECTIVE, a group created by film buffs for film buffs in Central Phoenix, so we can share more of those life-altering movie-going experiences together.